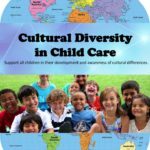 Child Care Training Consultants, LLC’s Adult Education courses provide Continuing Education Units (CEU’s) to providers locally, nationally, and globally. NEW USERS: First select the course(s) that you need from the course selection below. Your account will be created when you purchase classes. COUPONS: Coupons are needed only when purchasing a class for another person; Otherwise, your name will appear on their certificate. You simply send the coupon code(s) to the recipient(s). The recipient(s) must establish their own individual account to proceed with instruction and testing. 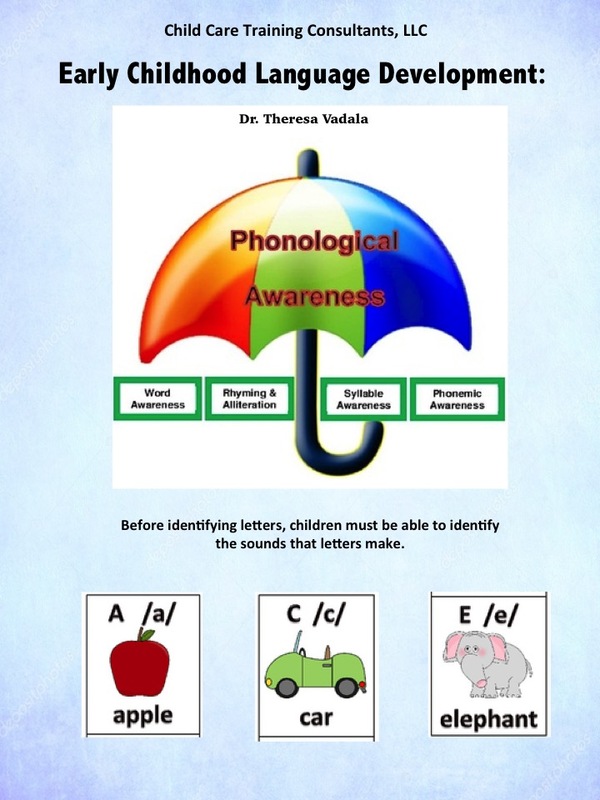 Course Description:Learn the fundamentals of speech and language milestones and phonological awareness activities to help build students’ language development. Increase your knowledge on implementing effective strategies for teaching students who are limited in their language proficiency (L.E.P). Maximize your knowledge on storytelling and curriculum planning, reading with a purpose, reading readiness, reading methods and models appropriate for preschool children. 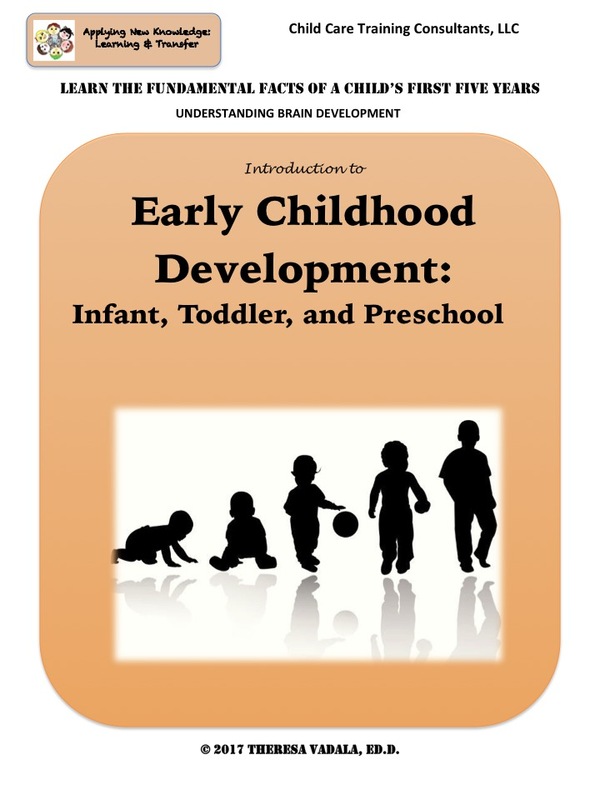 Course Description: Early childhood development is the foundation for community development and economic development. 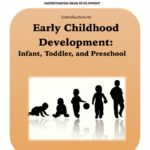 Learn the foundational aspects of growth and brain development that takes place during the first years of life, Piaget’s stages of cognitive development, Erikson’s stages of psychosocial development, and social-emotional milestones. Course Description: Stimulate every child’s potential through exploration of eight types of multiple intelligences. Apply activities in the classroom to accommodate all students learning styles, assess and evaluate students areas of intelligence, seek methods to strengthen each area, and design activities to accommodate all students varied learning styles. 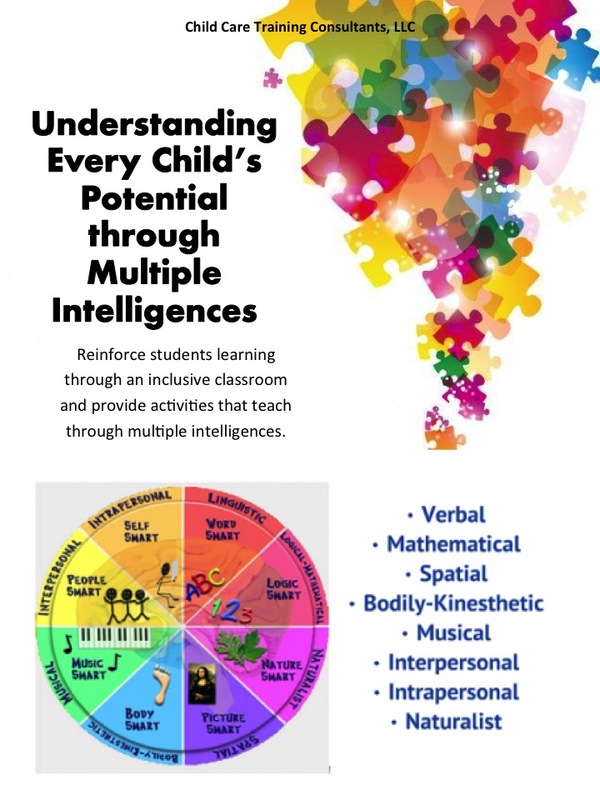 Reinforce students learning through an inclusive classroom and provide activities that teach through multiple intelligences. Course Description: Explore how a child’s brain architecture is built over a succession of “sensitive periods,” each of which is associated with the formation of specific circuits that are associated with specific abilities. The development of increasingly complex skills and their underlying circuits builds on the circuits and skills that were formed earlier. Through this process, early experiences create a foundation for lifelong learning, behavior, and both physical and mental health. Course Description: Recognize the various types of play, benefits of play among children, and organize an early childcare facility environment to maximize play. 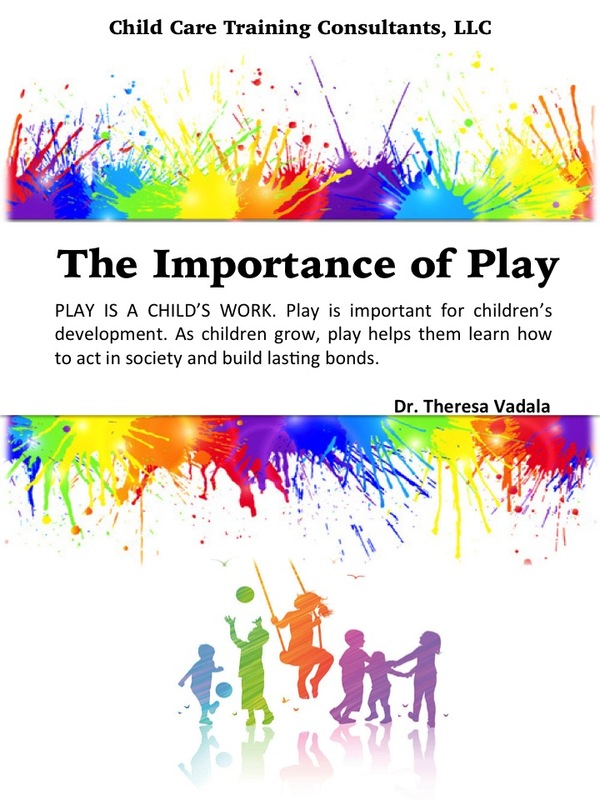 PLAY IS IMPORTANT for children’s development and for children to bond. It offers opportunities to connect with a child. 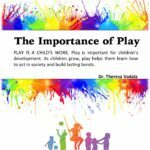 Play helps a child learn rules and what is expected of him or her. As children grow, play helps them learn how to act in society. Course Description: Understand what is taking place in a child’s brain and body during each period of development. 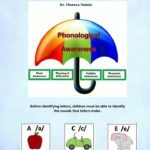 Provide the necessary support, encouragement, structure, and interventions to enable a child to progress through each stage of development as easily and successfully as possible based on each child’s unique set of traits and interests. 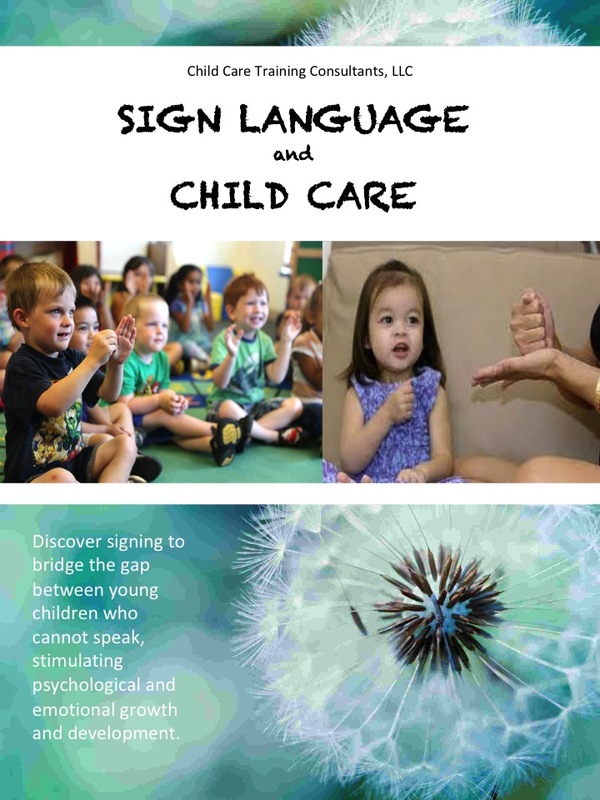 Course Description: Discover signing to bridge the gap between young children who cannot speak, stimulating psychological and emotional growth and development. 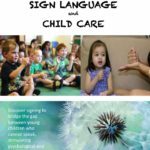 Recognize the benefits of sign language and how to teach it to children, implement sign language skills between adult care providers, and organize an early childcare facility environment to maximize the use of sign language. 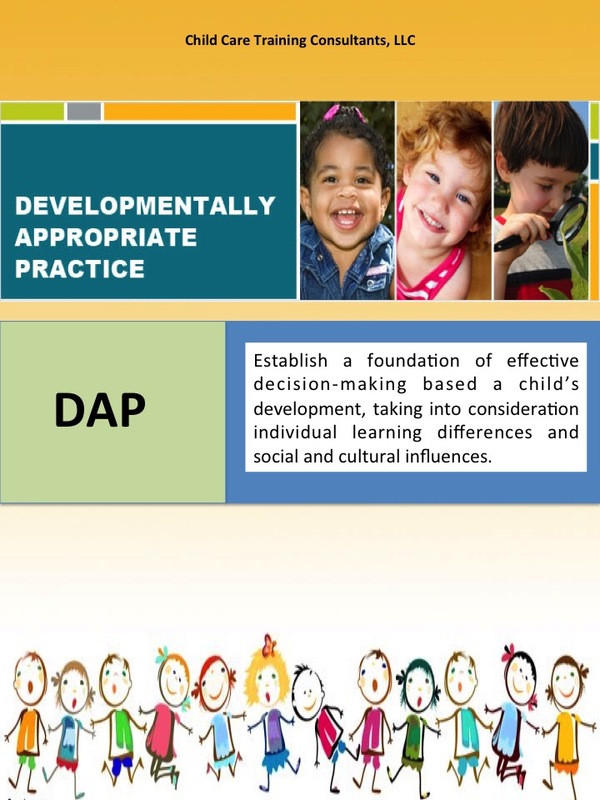 Course Description: Establish a foundation of effective decision-making based a child’s development, taking into consideration individual learning differences and social and cultural influences. 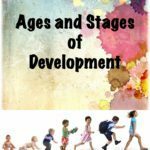 Explore developmental stages of children birth to 6 years old, implement skills using different learning styles, and organize your center according to the developmental stages of children in your care. Course Description: Learn the fundamental concepts of keeping a baby happy. 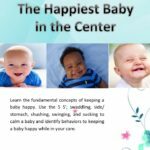 Use the 5 S’; swaddling, side/stomach, shushing, swinging, and sucking to calm a baby and identify behaviors to keeping a baby happy while in your care. 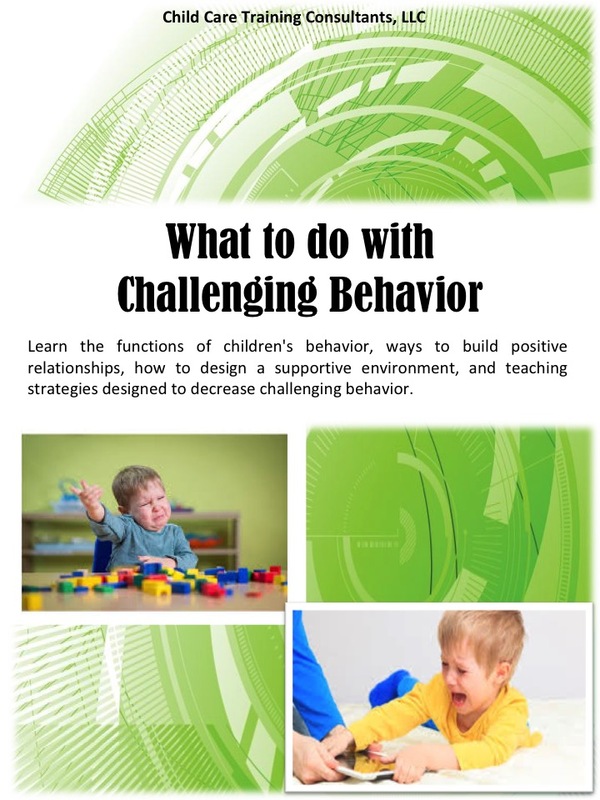 Course Description: Learn the functions of children’s behavior, ways to build positive relationships, how to design a supportive environment, and teaching strategies designed to decrease challenging behavior. 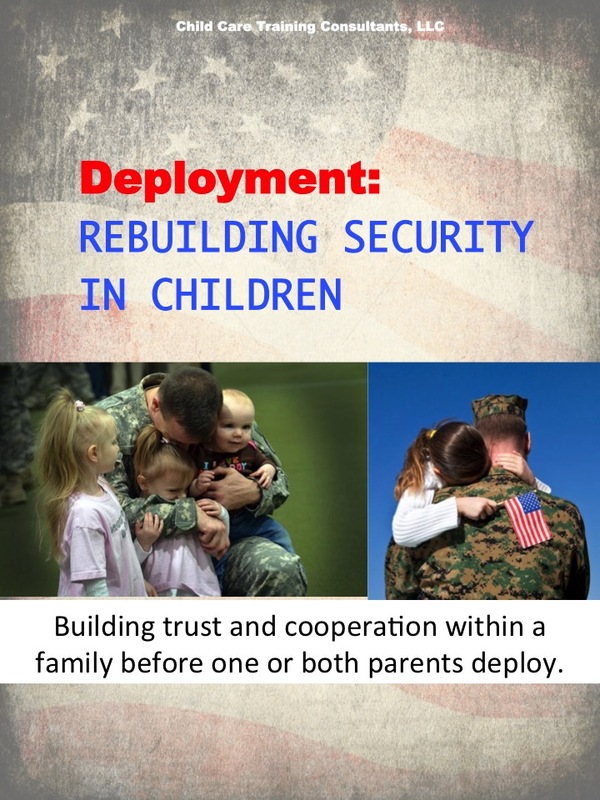 Course Description: Identify pre-deployment, deployment, and post-deployment stages to help rebuild security in children. Identify the common signs of emotional stress in children, teach children skills to foster self-expression, and encourage children to identify their feelings. 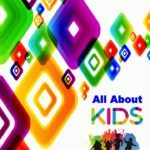 Learn about the four basic feelings and tips for teaching preschool children how to deal with anger and help children cope with stress. 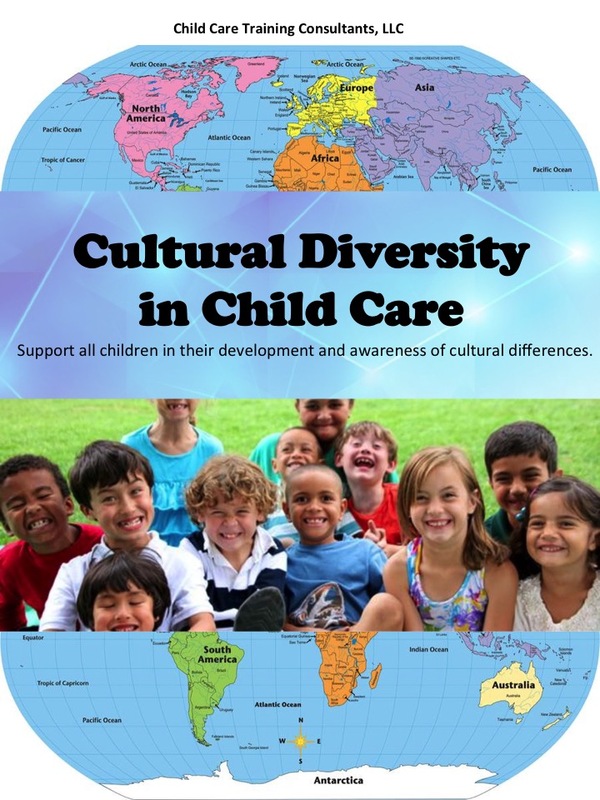 Course Description: Support all children in their development and awareness of cultural differences. Understand the skills and empathy educators need to help children achieve a positive sense of themselves and of others. Protect and value all children in the classroom, foster empathy, and provide accurate information about differences to enable children to think critically about the challenge bias. 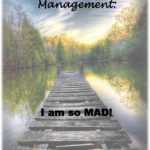 203.GUID Anger Management – I Am So MAD! 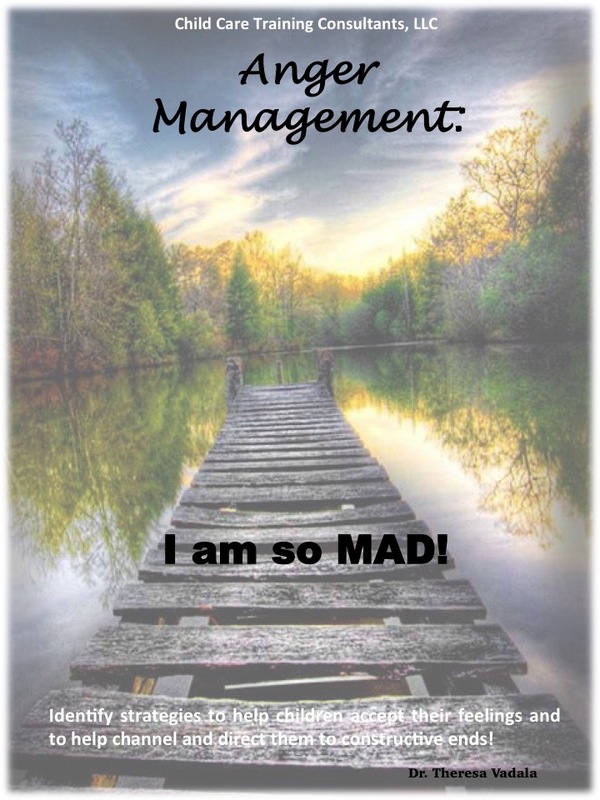 Course Description: What is ANGER? How do you deal with your anger? Learn the fundamental techniques to deal with anger in the classroom. Discover that anger is a temporary emotional state and aggression is often a prompt to hurt someone or destroy property. 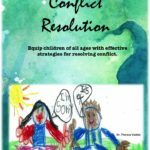 The goal is not to repress or destroy angry feelings in children–or in ourselves–but rather to accept the feelings and to help channel and direct them to constructive ends. 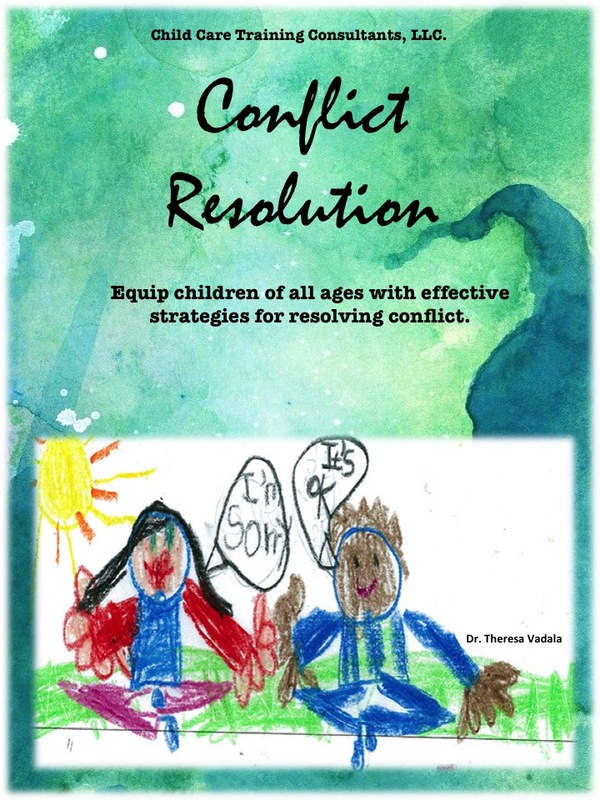 Course Description: Implement effective ways to help children resolve conflicts in the classroom through a variety of strategies. Children’s conflicts over toys, space, and friendships create many challenges for teachers and parents. Transform the childhood facility environment and establish clear communication between adult care providers and children in your care to minimize conflict. 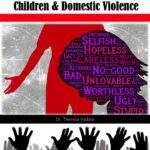 Course Description: Recognize what domestic violence is and how it affects children by implementing clear communication skills between adult care providers and children. Organize an early childcare facility environment to minimize issues with children and domestic violence. 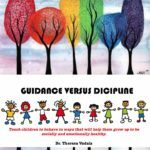 Course Description: Children are not born with discipline. 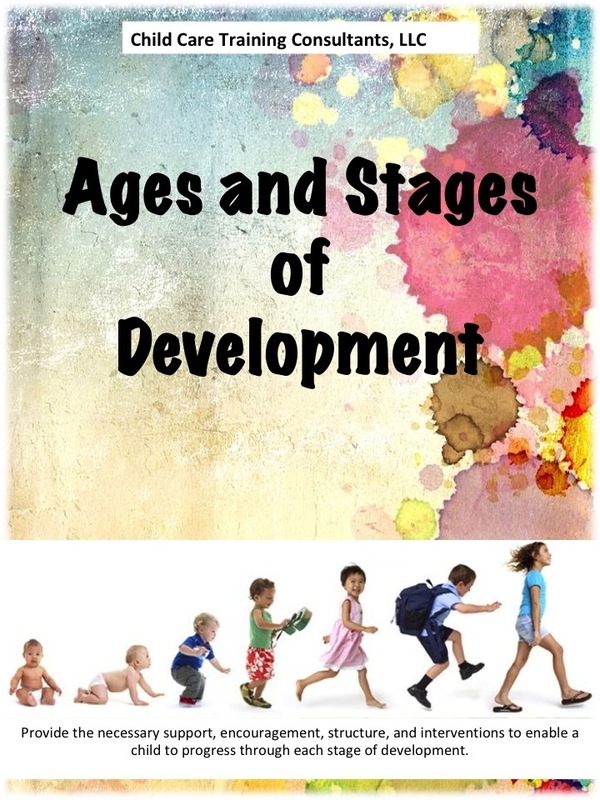 Explore children’s’ developmental stages as they grow, develop, and learn self-control. 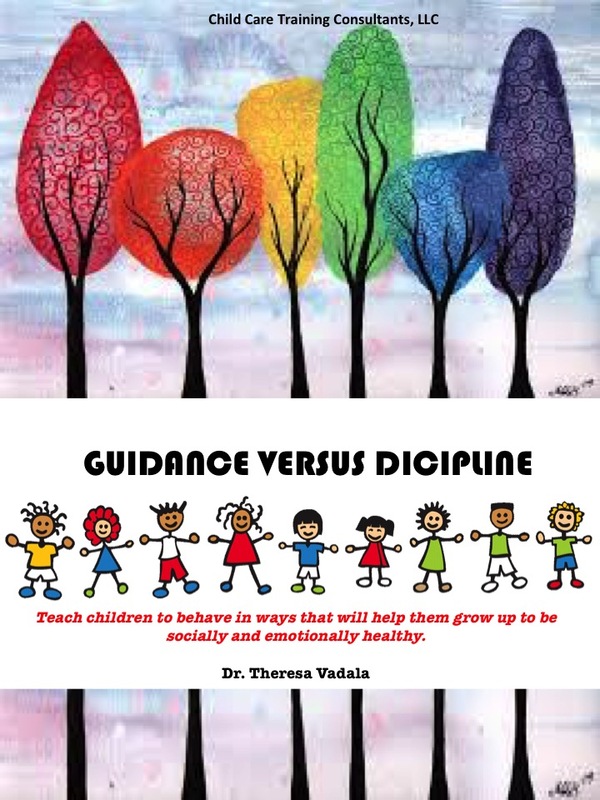 Distinguish the difference between guidance and discipline from the classroom to home life and generate positive environments. 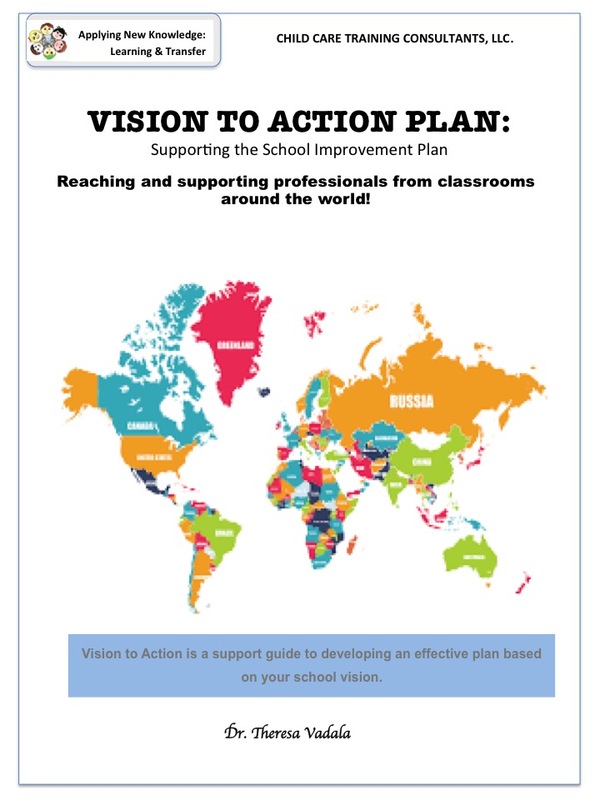 Learn suggested interventions and adaptations to use in inclusive education for all students. 207.GUID What do you do with a Bully? 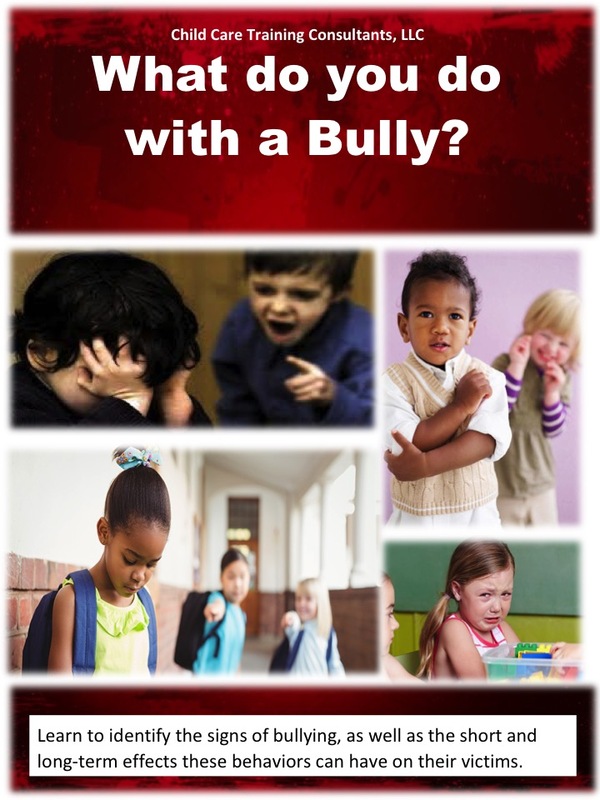 Course Description: Bullying is one of the most concerning social interactions facing children and schools today. While the media picks up stories of bullying in high school, researchers have shown that bullying behaviors are learned much earlier in life. 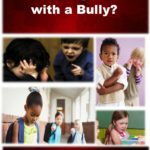 Learn to identify the signs of bullying, as well as the short and long-term effects these behaviors can have on bullies and their victims. 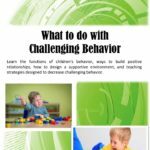 Explore strategies for guiding young children through socially challenging scenarios to create a “bully-free.classroom. 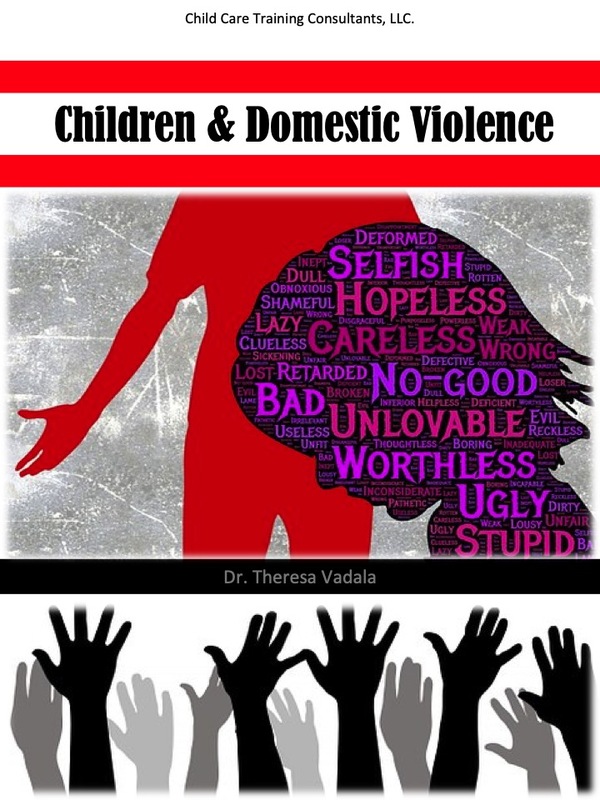 Course Description: Recognize the four types of abuse; emotional abuse, sexual abuse, neglect, and physical abuse. Learn how to recognize signs and symptoms of abuse to help caregivers deal with stressful situations. 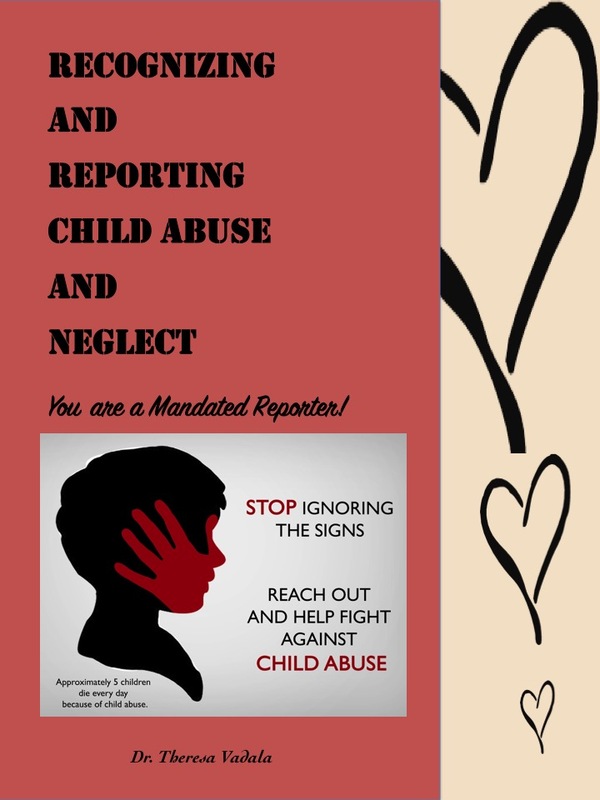 Explore signs of maltreatment, child abuse definitions, and indicators, and responding to, and reporting a disclosure. Course Description: Reconocer los cuatro tipos de abuso; abuso emocional, abuso sexual, negligencia infantil y abuso físico. 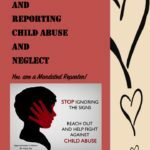 Aprenda a reconocer signos y síntomas de abuso, indicadores de abuso infantil, responder e informar una divulgación. 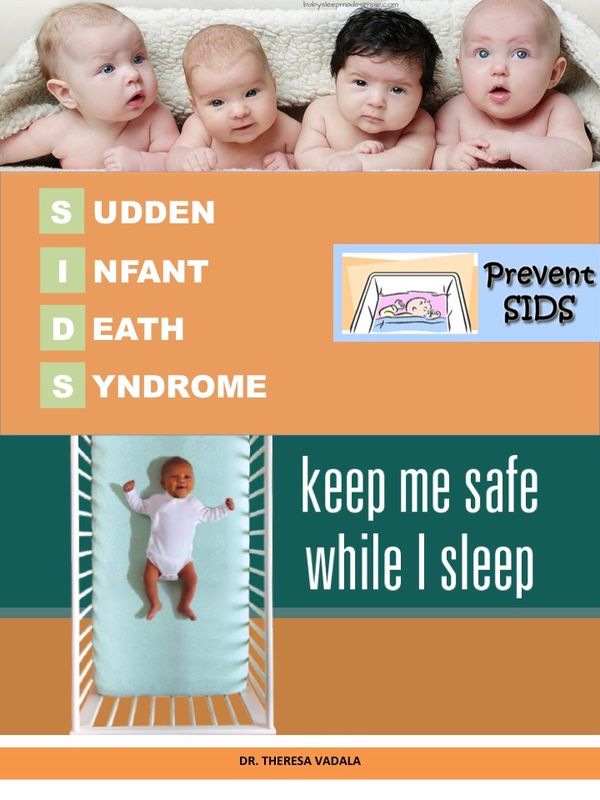 Course Description: Protect children while in their care and create a safer environment for infants to help prevent sudden infant death syndrome (SIDS). 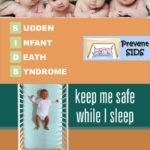 Learn to reduce the risk of Sudden Infant Death Syndrome (SIDS) in child care by creating safer sleep environments for babies. Caregivers will define SIDS, identify safe sleep practices, state ways to lower SIDS risks in child care settings and Identify SIDS-related resources. Learn about Tummy Time, handling a medical emergency SIDS – related resources, spread the Word – Ways you can share information on SIDS with parents and other caregivers. Course Description: El objetivo es crear un entorno más seguro para los niños ayudar a el síndrome de muerte súbita del lactante (SMSL). 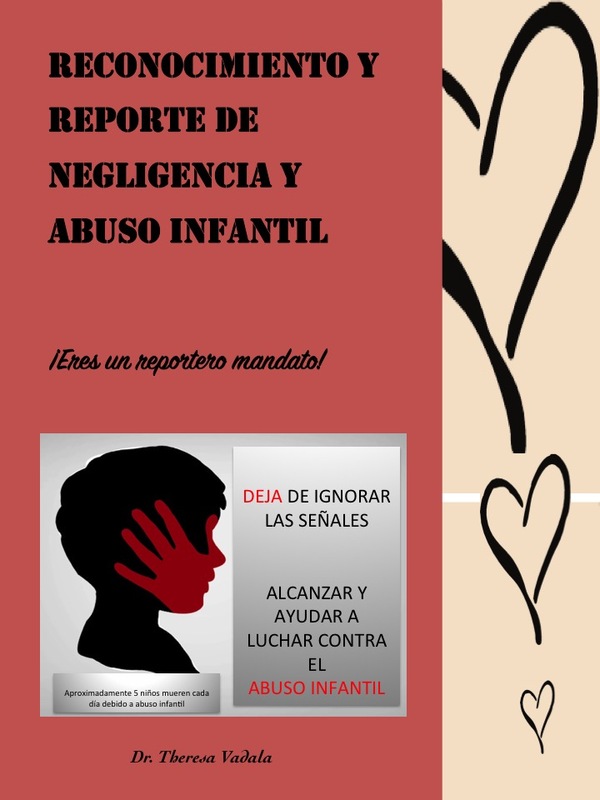 Aprender a reducir el riesgo de muerte súbita del lactante (SMSL) en cuidado de niños mediante la creación de entornos más seguras de dormir para bebés. 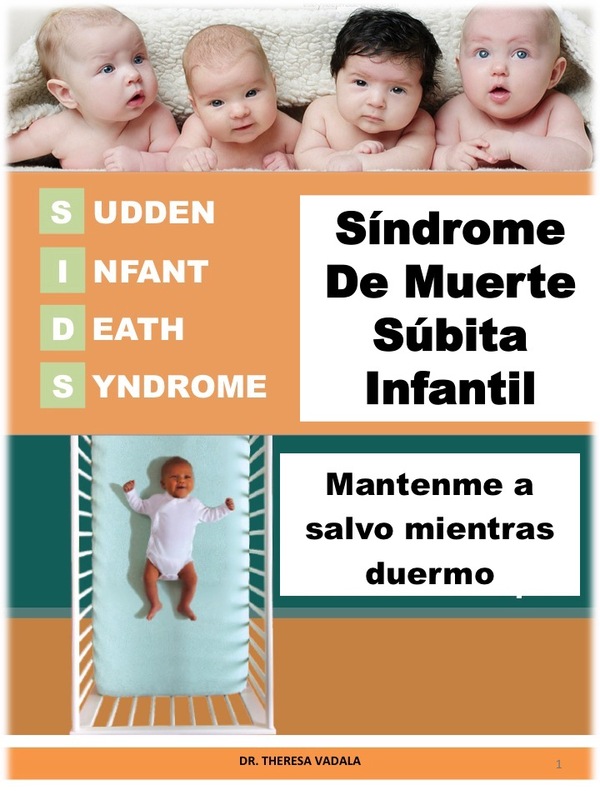 Cuidadores se define SID, identificar prácticas de sueño seguro, formas de reducir los riesgos del SIDS en entornos de atención de niños y recursos relacionados con el SIDS identificar del estado. 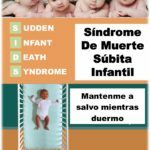 Conocer tiempo de barriga, manejo un SIDS emergencia médica – recursos relacionados, corra la voz – de maneras que usted puede compartir información sobre SID con los padres y otros cuidadores. 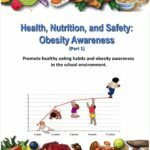 Course Description: Learn the components of eating healthy, nutritional facts, maintaining a safe environment and childhood obesity. 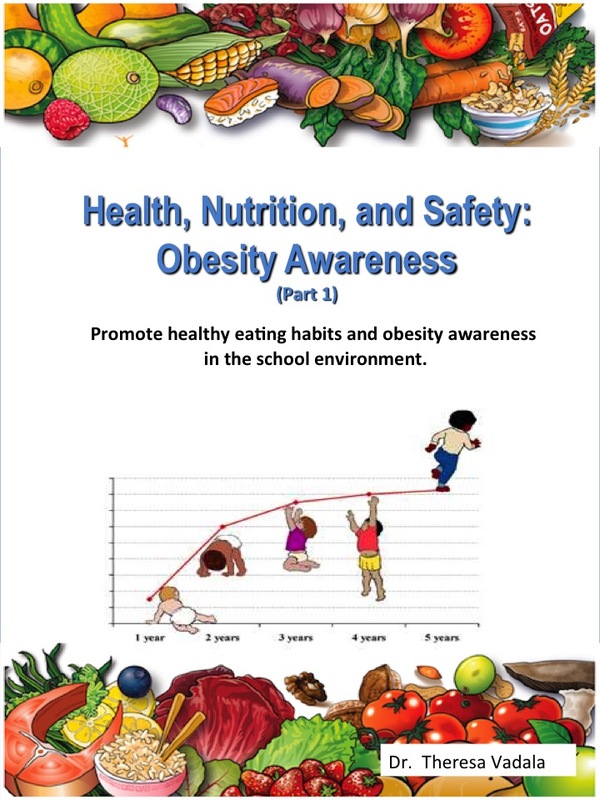 Building an awareness of childhood obesity and planning intentional physical education activities and food menus for children and families based on the “Let’s Move” Initiative and ChooseMyPlate are considered. Develop a parent handbook using the provided template and create lesson plan activities to use in daily teaching practices. Learners will also identify learning outcomes, transfer of learning strategies, and assessments used based on learning objectives. 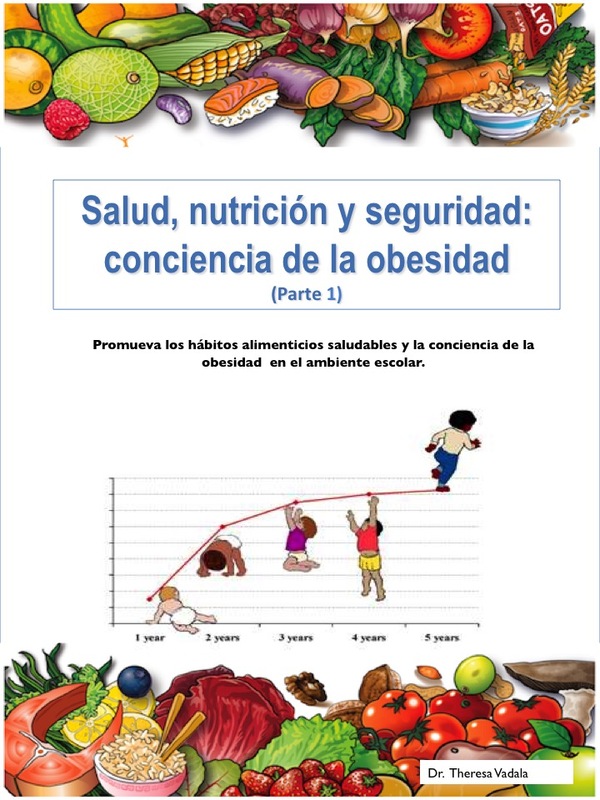 Course Description: Aprenda los componentes de comer datos nutritivos y saludables, mantener un ambiente seguro y la obesidad infantil. Se toma en cuenta el conocimiento de la obesidad infantil y la planificación de actividades de educación física intencional y menús de alimentos para niños y familias basados en la iniciativa “Let’s Move” y ChooseMyPlate. 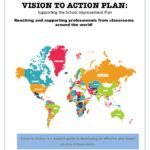 Desarrolle un manual para padres usando la plantilla provista y cree actividades del plan de lección para usar en las prácticas de enseñanza diaria. Los estudiantes también identificarán los resultados de aprendizaje, la transferencia de estrategias de aprendizaje y las evaluaciones utilizadas en función de los objetivos de aprendizaje. 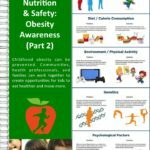 Course Description: Childhood obesity puts kids at risk for health problems that were once seen only in adults, like type 2 diabetes, high blood pressure, and heart disease. The good news? 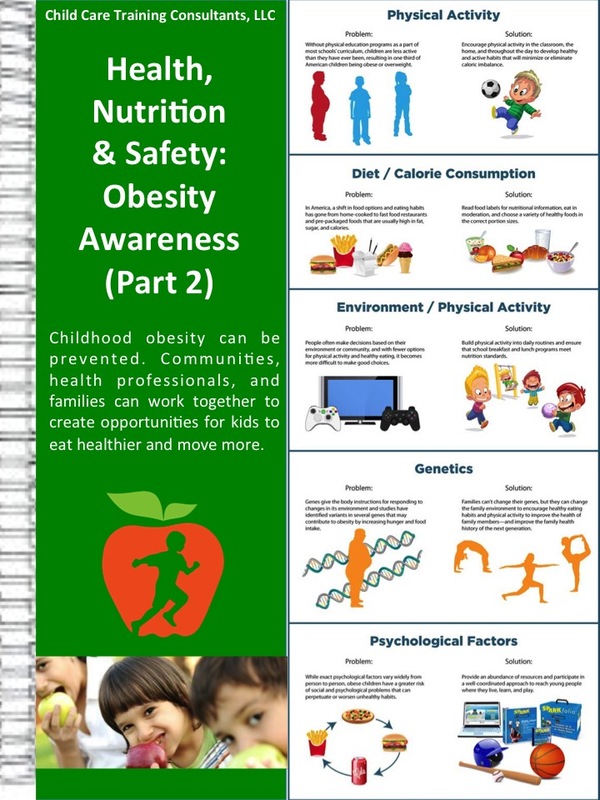 Childhood obesity can be prevented. Communities, health professionals, and families can work together to create opportunities for kids to eat healthier and move more. 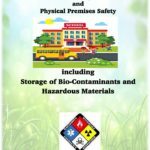 304.HLT Building and Physical Premises Safety including Storage of Bio-Contaminants and Hazardous Materials – New! Course Description: Be ready to implement safety standards, guidelines, and practices regarding building and physical premises safety in the early childcare environment. 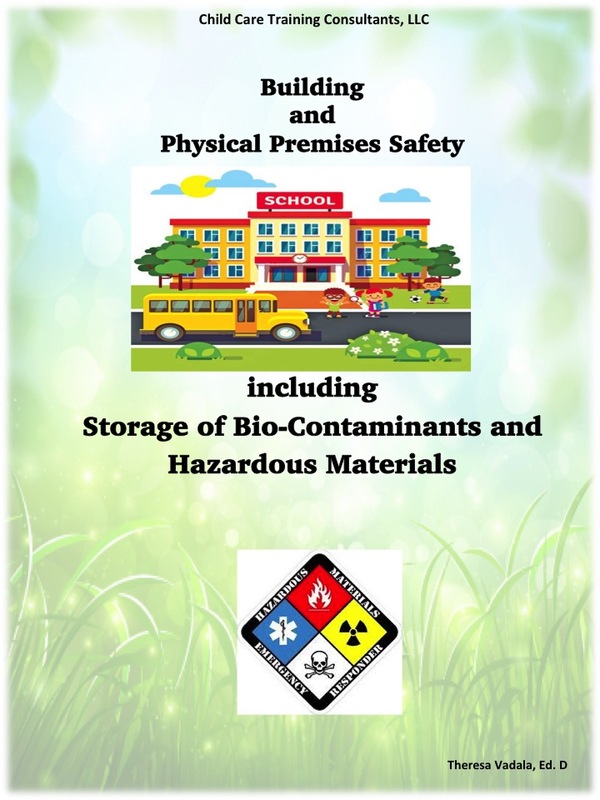 The information includes environmental health, potentially hazardous environmental factors, including plants, insects and toxic fumes and safe appropriate procedures for ensuring age appropriate toys for children of various age groups and developmental levels. Storage of bio-contaminants and hazardous materials are also discussed. Note: Always follow the licensing regulations for your state as they may vary from state to state. 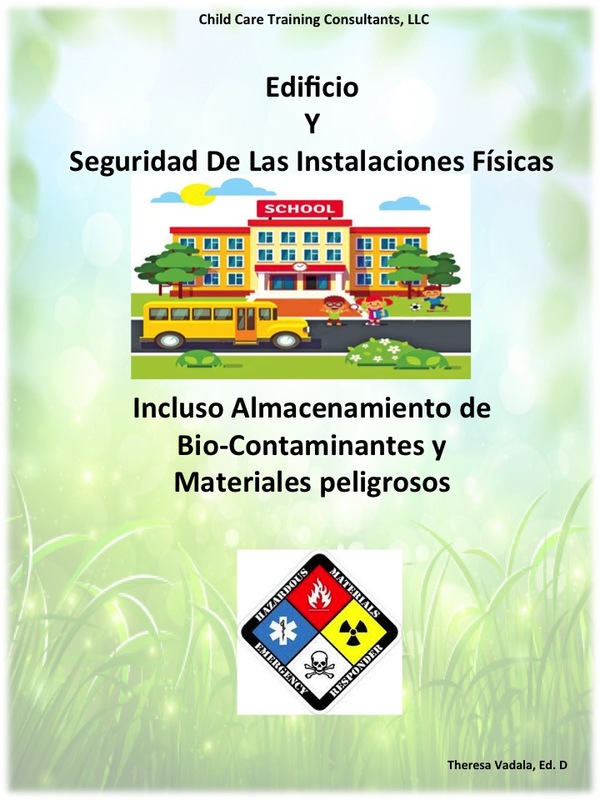 Course Description: Esté preparado para implementar estándares de seguridad, pautas y prácticas relacionadas con la construcción y la seguridad de las instalaciones físicas en el entorno de cuidado infantil temprano. La información incluye la salud ambiental, factores ambientales potencialmente peligrosos, incluyendo plantas, insectos y humos tóxicos, y procedimientos seguros y apropiados para garantizar juguetes apropiados para la edad de los niños de diferentes grupos de edad y niveles de desarrollo. 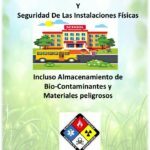 También se discute el almacenamiento de biocontaminantes y materiales peligrosos. Nota: Siempre siga las regulaciones de licencia para su estado, ya que pueden variar de un estado a otro. 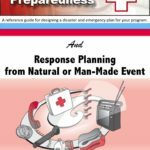 305.HLT Emergency Preparedness and Response Planning from Natural and Man-Made Events – New! 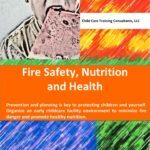 Course Description:Learn the recommended childcare guidelines to emergency preparedness and response planning from natural disasters or man-made events. Every school Emergency Operating Procedure (EOP) should include courses of action that will describe how students and staff can most effectively respond to an emergency situations to minimize the loss of life. 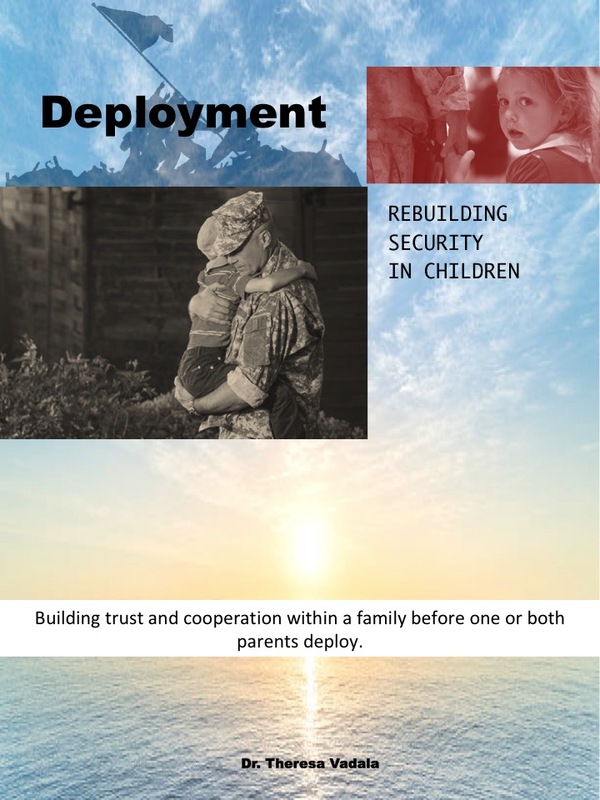 Define mitigation as it relates to emergency management and teach children how to be resilient during emergency situations. 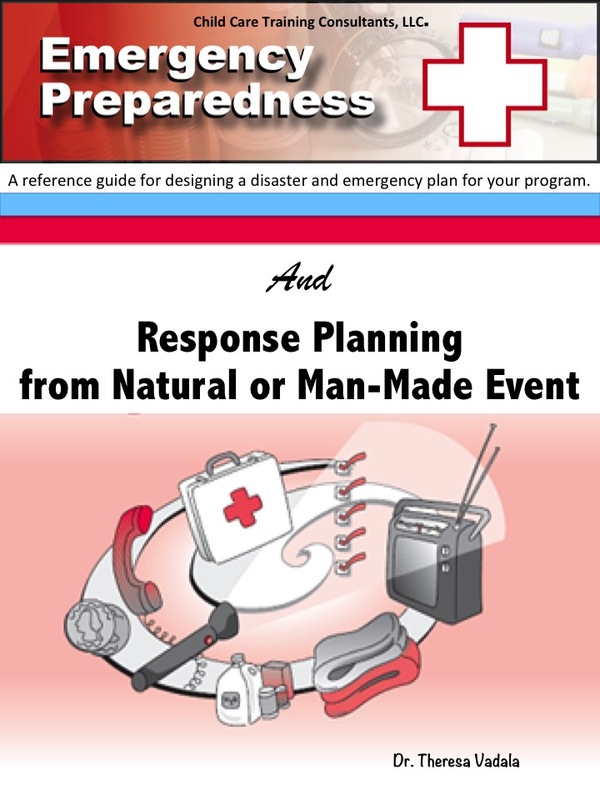 Develop an emergency preparation checklist, prepare an emergency kit, and identify a response and recovery area for all children. 305.HLT Preparación de emergencia y planificación de respuesta de un evento natural o artificial (SPANISH) Neuvo! 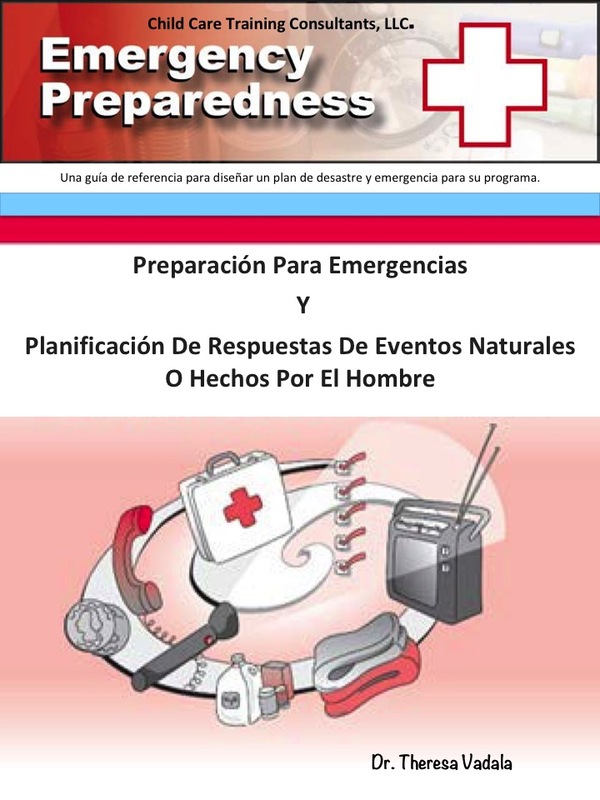 Course Description: Conozca las pautas recomendadas para el cuidado de niños para la preparación de emergencias y la planificación de respuesta ante desastres naturales o eventos creados por el hombre. 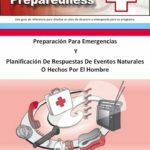 Todos los procedimientos operativos de emergencia (EOP) de la escuela deben incluir cursos de acción que describan cómo los estudiantes y el personal pueden responder de manera más efectiva a situaciones de emergencia para minimizar la pérdida de vidas. Defina la mitigación en relación con el manejo de emergencias y enséñele a los niños a ser resilientes durante situaciones de emergencia. 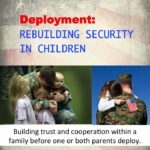 Desarrolle una lista de verificación de preparación para emergencias, prepare un kit de emergencia e identifique un área de respuesta y recuperación para todos los niños. Course Description: Prevention and planning is key to protecting children and yourself. 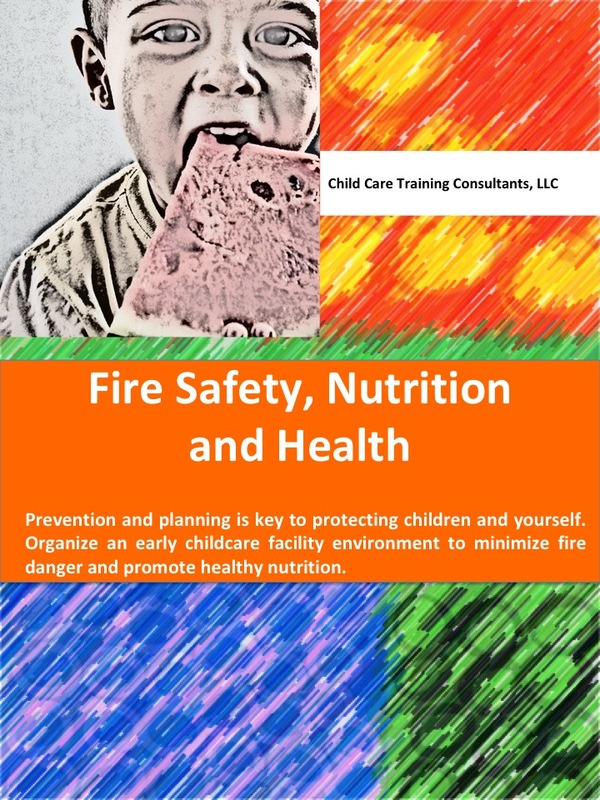 Recognize fire safety rules, nutrition, and health rules, Implement clear communication skills, and organize an early childcare facility environment to minimize fire danger and promote healthy nutrition. Course Description: Explore nutrition principles, health standards, and food safety. 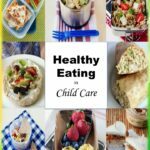 Know the importance and benefits of eating healthy given nutritional facts, sodium and sugar intake, and the dietary guidelines for Americans, identify guidelines for health standards and nutrition, implement policies that include, but not limited to food hygiene, handwashing, special diets and food allergies. 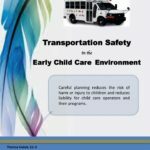 308.HLT Transportation Safety in the Child Care Environment – New! Course Description: Transporting children in child care is a high-risk activity. 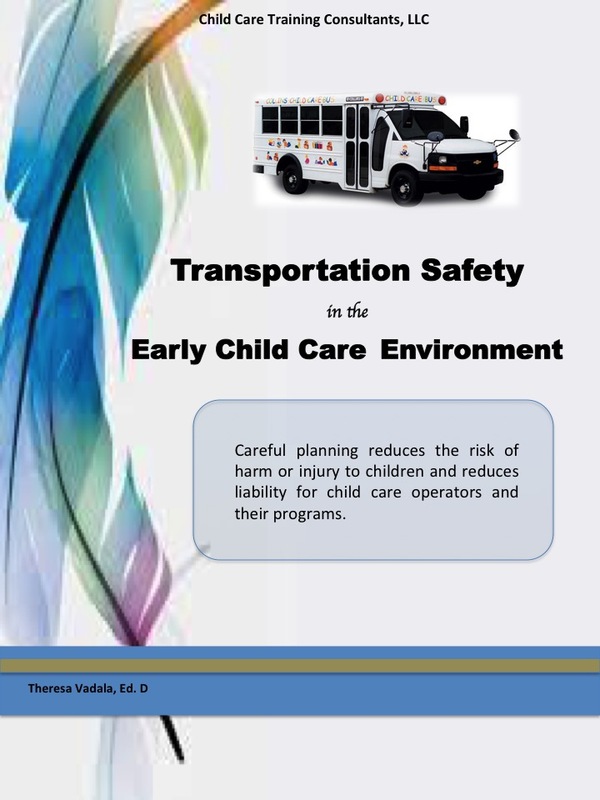 Careful planning, proactive, and protective measures must be taken for Child care operators, staff, and parents when transporting children on field trips. Learn safe practices when transporting children and adhere to all National Transportation Board Guidelines. Careful planning reduces the risk of harm or injury to children and reduces liability for child care operators and their programs. 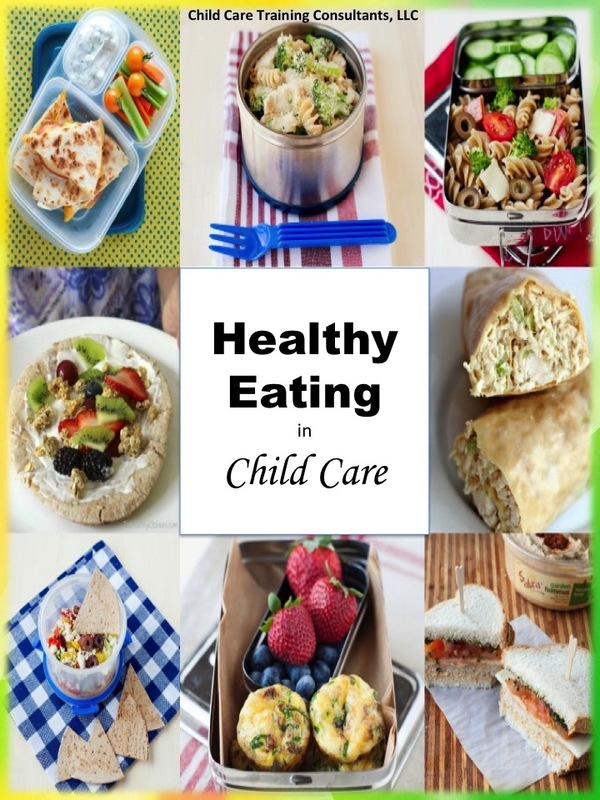 Course Description: Create a professional learning community by recognizing appropriate learning community ideas, implementing clear communication between caregivers and parents, and organizing an early childcare facility environment to optimize productive spaces. 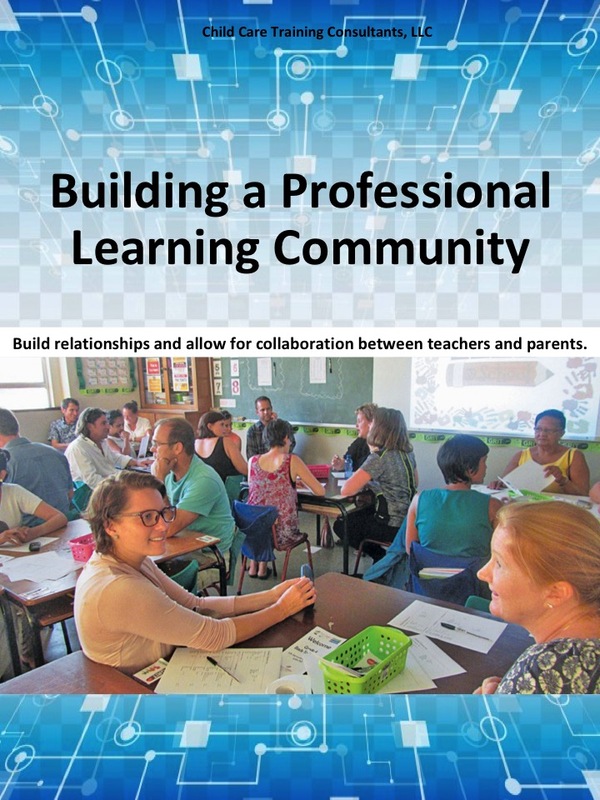 Build relationships and allow for collaboration between teachers and parents. Learn how to work with the community and make strides to plan rigorous and appropriate lessons for students. 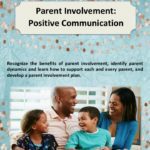 Course Description: Learn about best practices to incorporate positive communication with all parents. 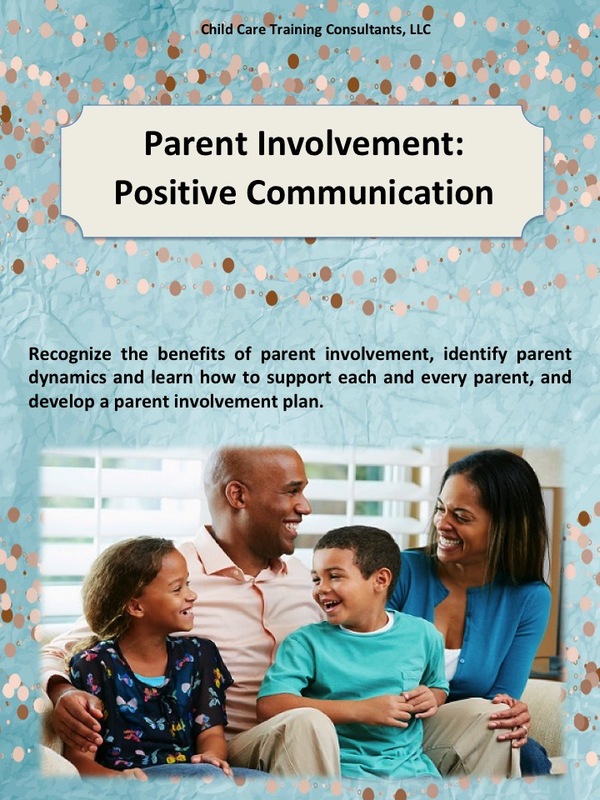 Recognize the benefits of parent involvement, identify parent dynamics and learn how to support each and every parent, and develop a parent involvement plan. Establish a parenting plan with evidence of involvement, parent activities, resources, and timeline. 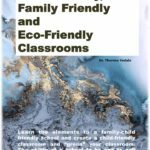 Course Description: Learn the fundamental concepts and techniques on enhancing parental involvement within the school community. 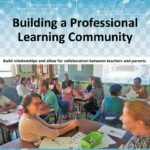 Identify methods and techniques to address the dynamics of parents and managing generational differences within the school community. 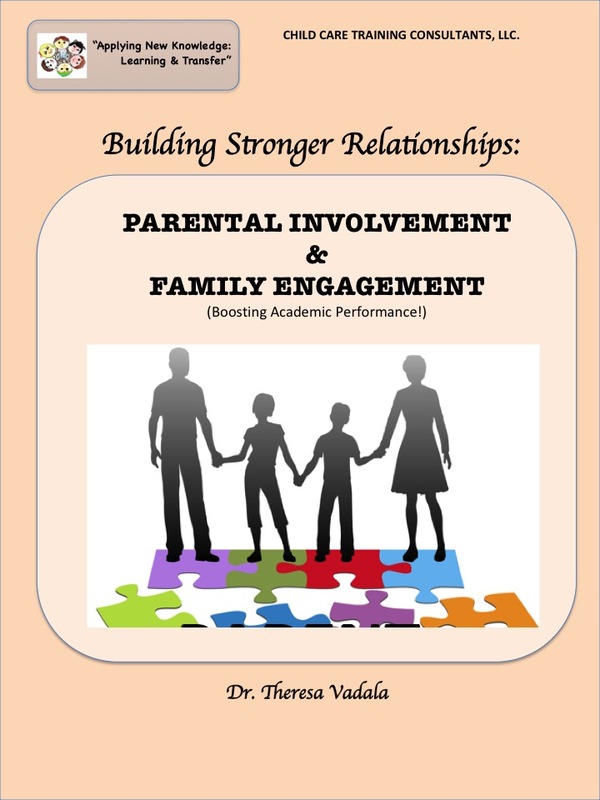 Apply strategies to embrace all students, parents, and families from diverse backgrounds, and recognize features of effective communication to keep all parents engaged. 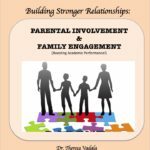 Course Description: Identify five benefits of parent involvement, ten effective forms of parent communication strategies and recognize three personality types of parents to enhance communication skills with all parents. Identify benefits of inclusion for all students with disabilities and implement strategies with parents and families. 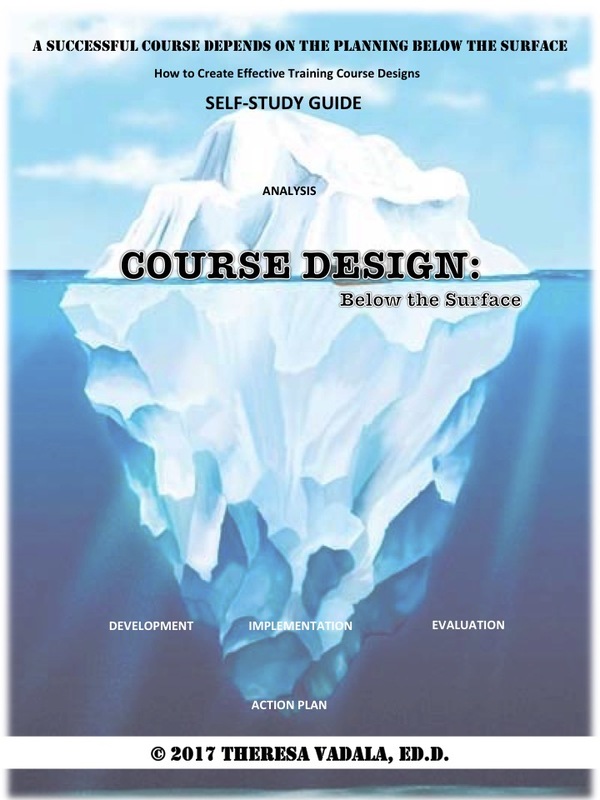 Course Description: The curriculum is a roadmap for learning with a focus on knowledge and skills. 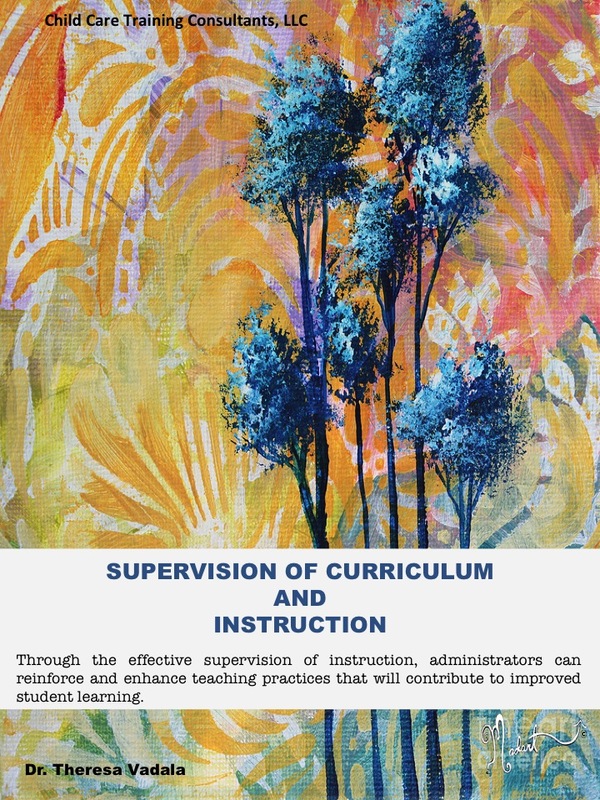 Learn the historical foundations of curriculum and instruction that provide an understanding of what supervisors observe during classroom evaluations. 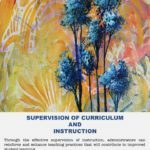 Explore the predominant themes about the supervision and evaluation of instruction, supervision and evaluation issues, and current trends. Examine teacher evaluation methods to enhance the professional effectiveness of teaching staff and assess student progress to ensure teachers are utilizing information from a variety of appropriate sources. 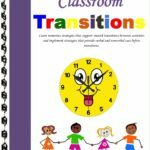 Course Description: Learn the 3 main types of transitions: 1) Transitions between activities within a given setting, 2) Transitions between multiple settings on the same day, and 3) Transitions between programs. 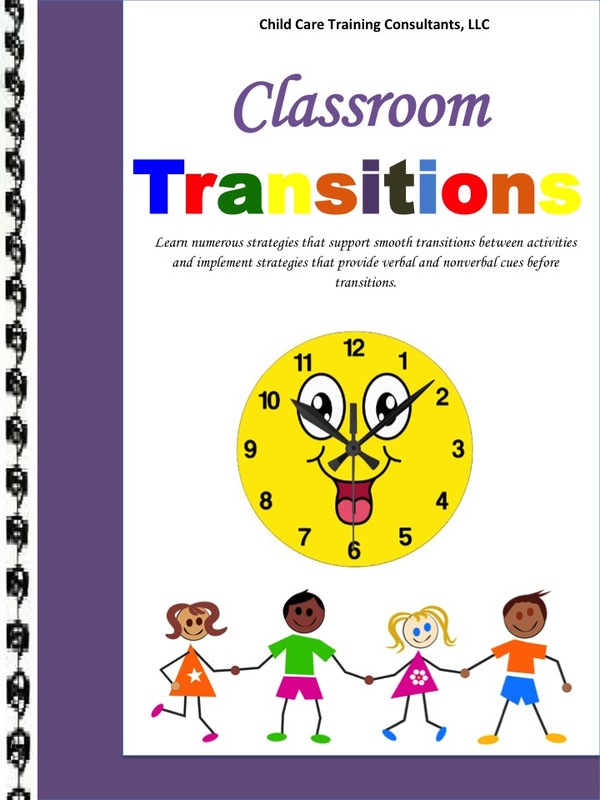 Learn numerous strategies that support smooth transitions between activities and implement strategies that provide verbal and nonverbal cues before transitions and minimize the number of transitions. 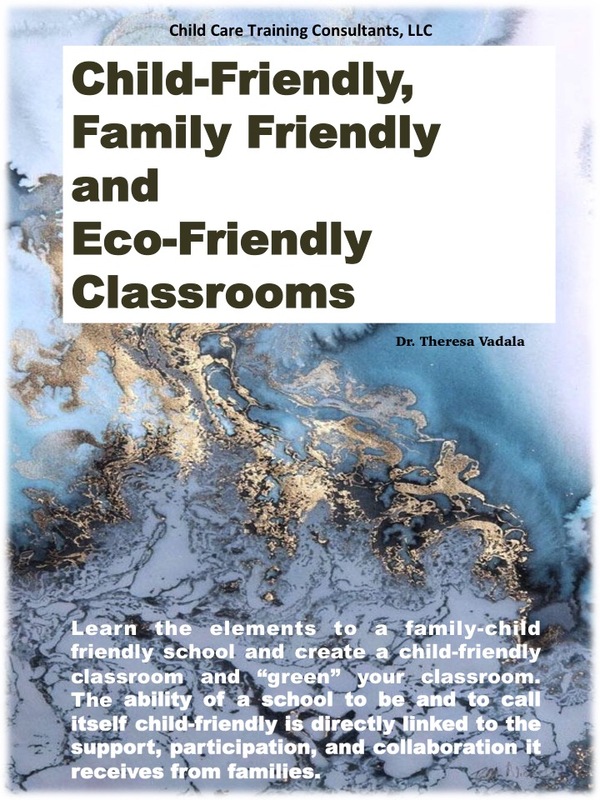 Course Description: Learn the elements to a family-child friendly school and create a child-friendly classroom and “green” your classroom. The ability of a school to be and to call itself child-friendly is directly linked to the support, participation, and collaboration it receives from families. Child-friendly schools aim to develop a learning environment in which children are motivated and able to learn. Course Description: Reinforce guiding principles that serve as a framework for assessing and evaluating instructional learning. 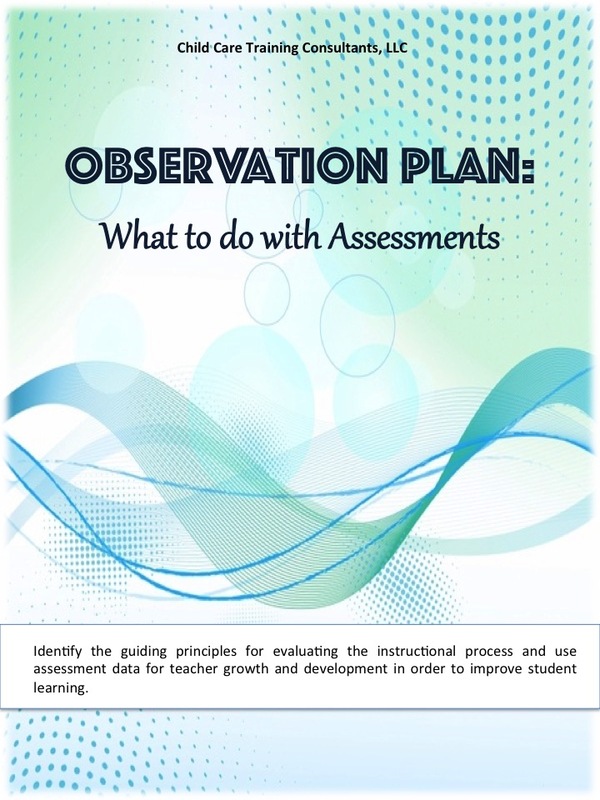 Assess direct and indirect observations, identify four general categories of data used to provide information for instructional decisions, and report feedback to teachers using assessment results. 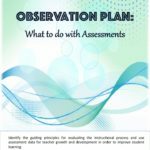 Establish a successful adaptive inclusive classroom by using a variety of strategies in assessing students’ learning. 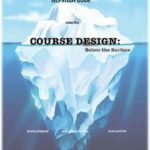 700.PROF Course Design: Below the Surface – NEW! Course Description: Develop effective curriculum/training courses using the ADDIE Model of Instructional Design. The ADDIE process guides you through the five phases – Analysis, Design, Development, Implementation, and Evaluation. A well-designed, well-intended, and well-presented training course engages learners and provides opportunities for learners to transfer learning into their workplace, thus, promoting teacher quality and improving student achievement. 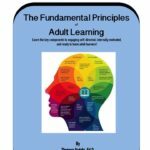 Course Description: Learn the fundamental principles of Adult Learning based on Knowles andragogy. 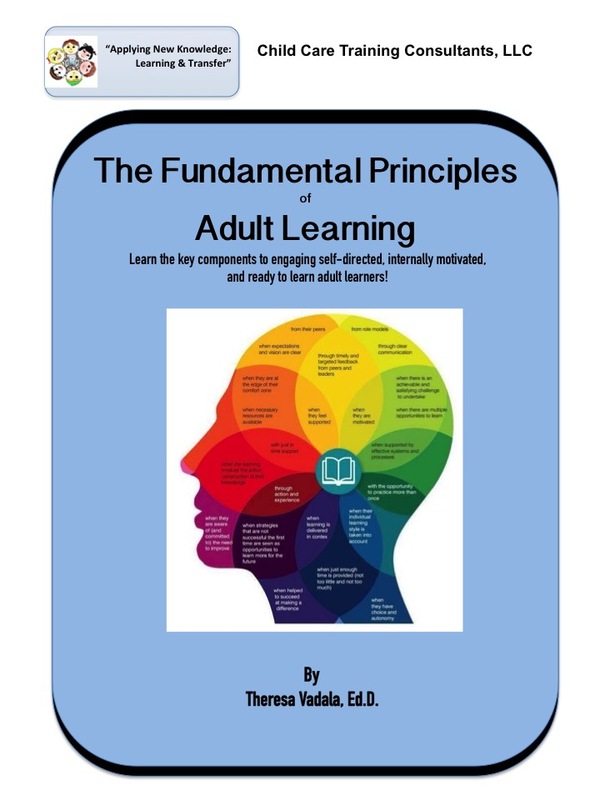 Learn the key components to understanding adult learning and engaging adults in learning for effective transfer of learning. 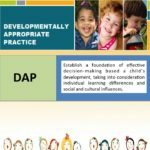 Implement inclusive learning, accommodate cultural differences, and engage parents through Adult Learning Theory. 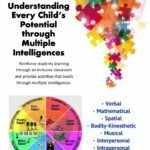 Recognize and implement learning styles and instructional strategies using multiple intelligences to create an effective learning environment for learners. 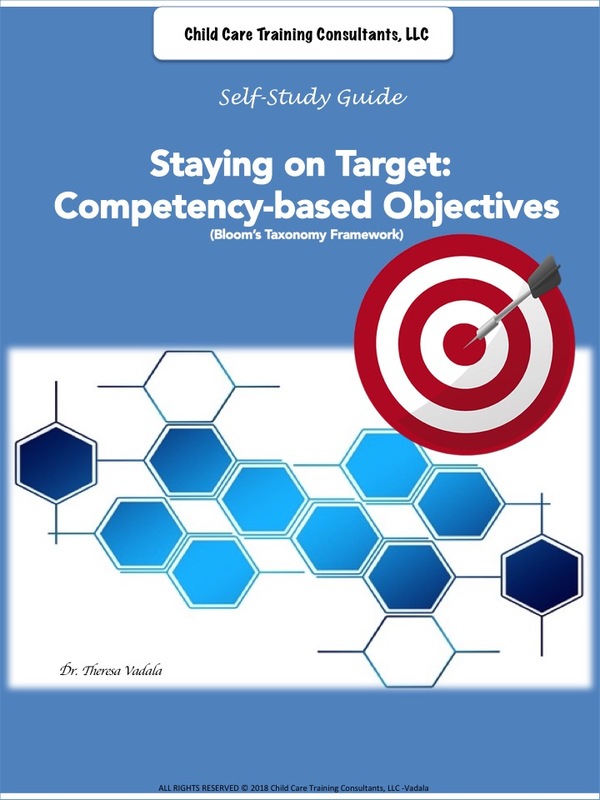 702.PROF Staying on Target: Competency-based Objectives – NEW! Course Description: Stay on target with competency-based objectives that provide learners with a clear understanding of the goal and purpose of the training content presented. 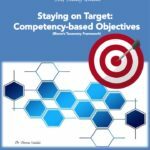 The objective template provides an easy-to-use guide to design objectives that align with core competencies. Core Competencies are a set of observable skills with Core Knowledge Areas that differ from state to state. Course Description: School readiness is a prevalent issue facing the nation today and mandated initiatives have placed rigorous demands on schools and educators. 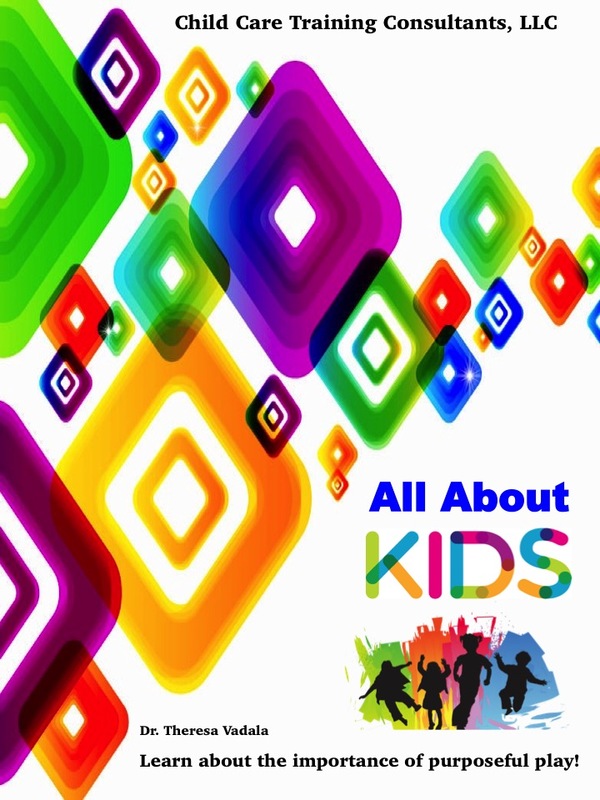 This training provides research-based knowledge and facts on kindergarten “the new first grade” with recommendations on how young children can experience a smoother transition to kindergarten. Learn what every public and private preschool and kindergarten teacher, leader, and parent should know about the rigorous transition to kindergarten, children’s school readiness, and best practices based on what schools are doing across the nation. Target Audience: Teaching Professionals and Administrators. Course Description: Support the school or business improvement plan! Learn the fundamentals of creating an effective vision and mission statement in collaboration with all stakeholders. Develop goals and objectives as a team and create unity in the work environment as you work on a plan of action to meet set goals. Course Description: Know your Rights! 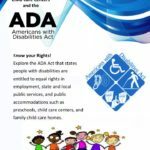 The Americans with Disabilities Act (ADA) is a federal civil rights law. 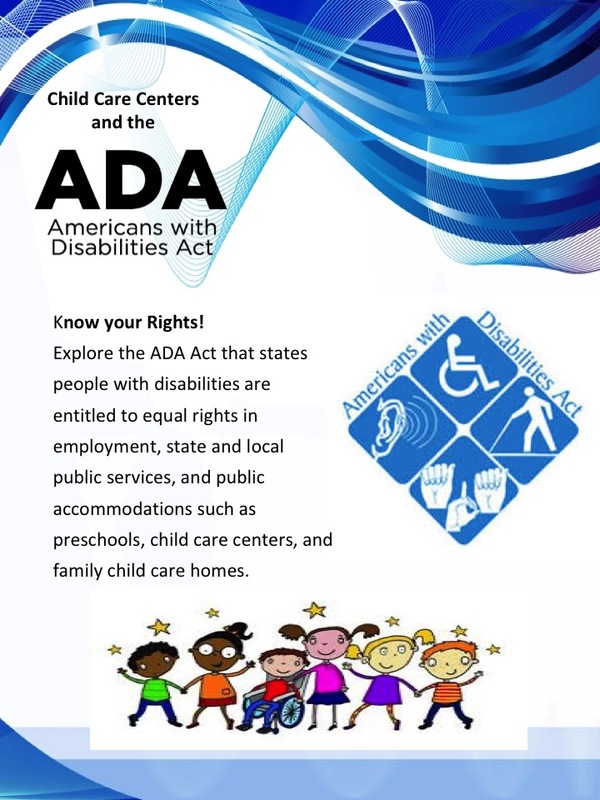 Explore the ADA Act that states people with disabilities are entitled to equal rights in employment, state and local public services, and public accommodations such as preschools, child care centers, and family child care homes. 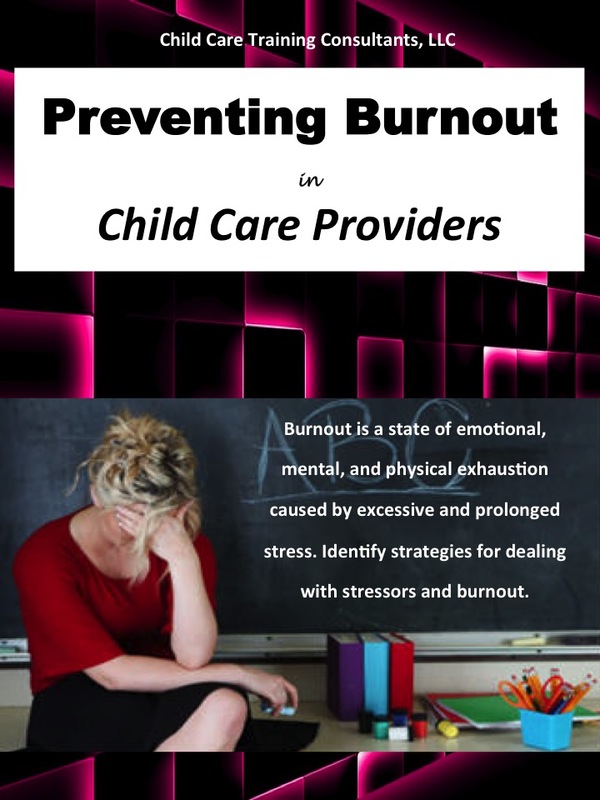 Course Description: This training is designed to provide childcare providers with an understanding of what “Burnout” is. 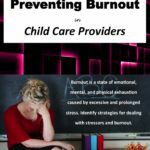 Strategies for dealing with stressors and burnout are addressed and how to prevent burnout and possible treatments. Burnout is a state of emotional, mental, and physical exhaustion caused by excessive and prolonged stress. It occurs when you feel overwhelmed and unable to meet constant demands. As the stress continues, adults may begin to lose interest or motivation that first led them to take on a certain role in the first place. Certificates are available immediately after passing the quiz for each respective course. You can view and print certificates from the completed courses section of your account.